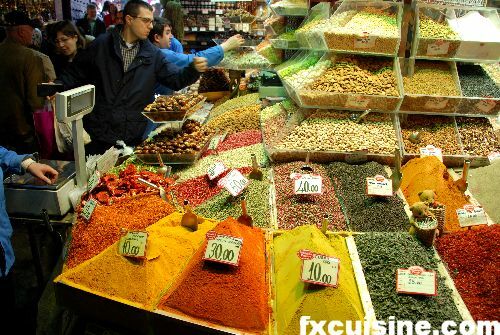 I love spices and the prospect of visiting a huge, ancient market dedicated only to spices and located right where Europe meets Asia got me all worked up. People have been trading spices on Istanbul's waterfront for centuries but the actual L-shaped spice market building (aerial picture) now housing the 'Egyptian Bazaar' or 'Spice Bazaar' or 'Gypsy Bazaar', was built in the 1940's. 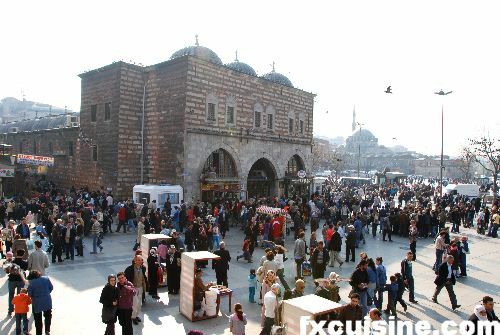 The entrance is on a big square facing the ferry dock on the Golden Horn, with a huge pigeon-covered mosque on the left. 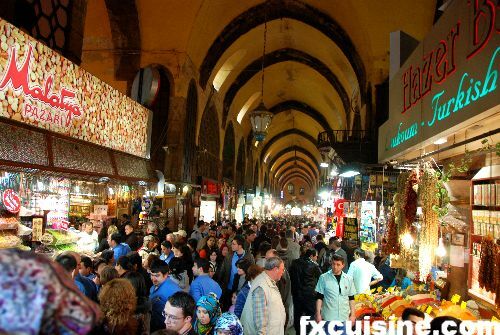 The bazaar is like a huge cavernous arcade with train-station-high ceilings and lines of shops on either end. The spice merchants are relatively unobtrusive compared to those in the Grand Bazaar, the city's premier tourist trap. Not to say that the Egyptian Bazaar lacks tourists, far from it, but about half the patrons are locals, and the goods sold are authentic. 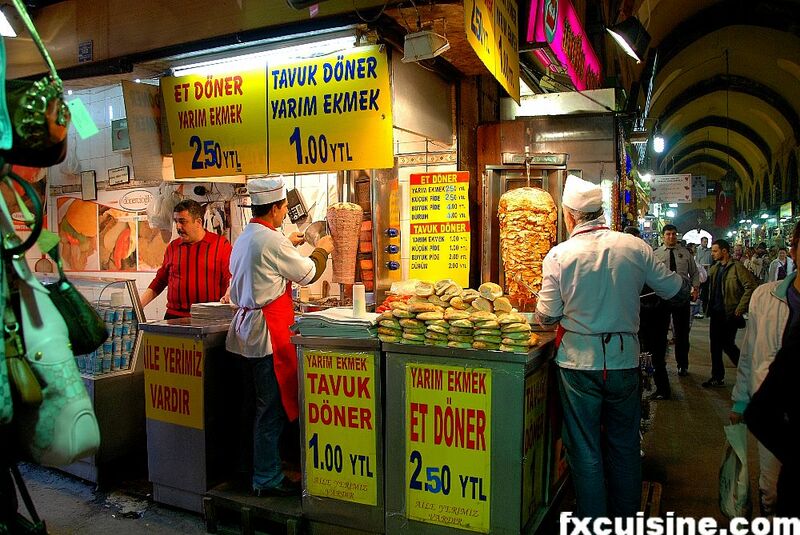 Apart from the odd döner kebab stand, shops in the Egyptian Bazaar all sell spices, sweets or nuts. 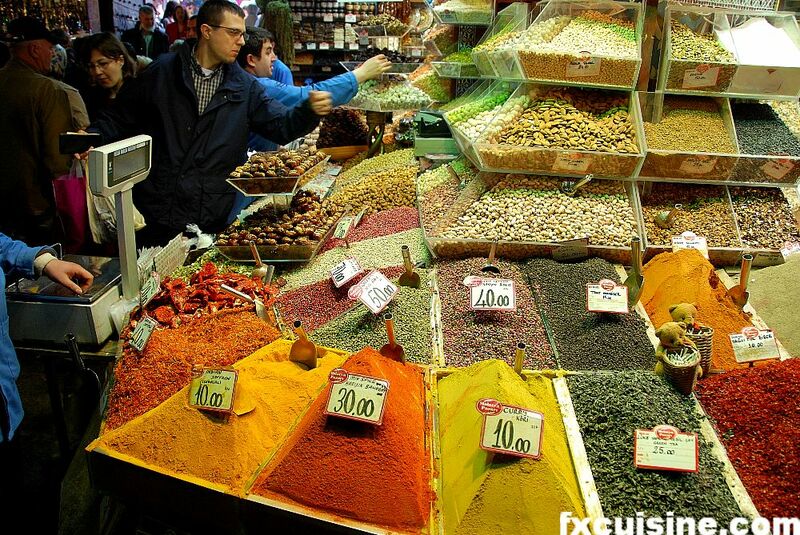 Many shops sell an assortment of spice mixes. But friends don't let friends buy ground spices and certainly not ground spice mixes. The spices' flavor is lost very soon in those open stalls and mixing your own spices takes only a minute with a mortar or mixer. I saw two Swiss ladies buying vanilla and saffron - not a good idea. The vanilla were dry Bourbon beans imported from Madagascar, a poor member of the most humble relation of the vanilla family. As for Turkish Saffron, it's no saffron at all but dried safflower. I sort of felt bad to see those fellow Swiss travelers make such poor choices, but what could I do? 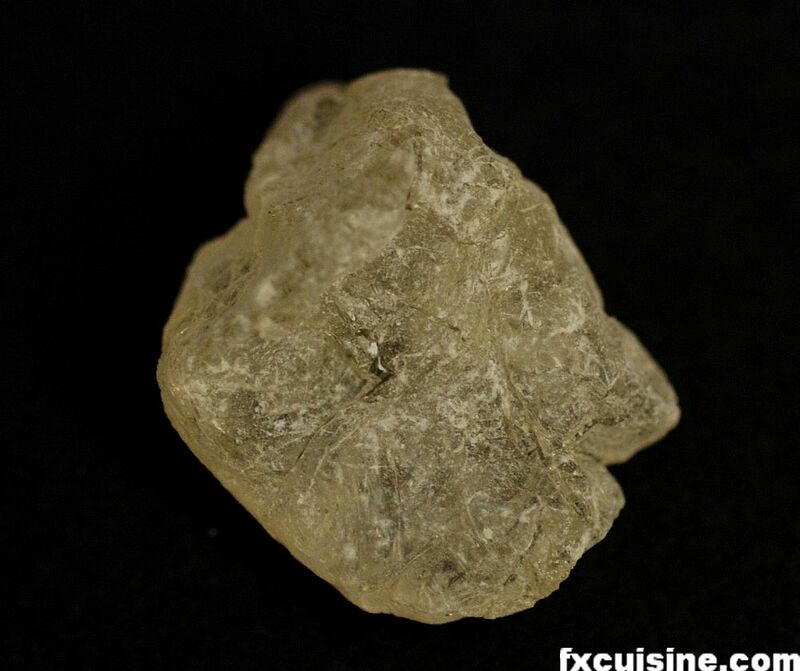 For vanilla I bought me a bag of vanillin crystals, shamelessly imported from China, but much better vanilla value than overprices shriveled vanilla beans. I also bought sahlep, the grated root of a wild orchid used in confectionery and as a popular beverage. Both are suspicious-looking white powders which require some guts to bring it back through Turkish customs. Cinnamon bark - all cinnamon is bark but this one really looks likes regular bark. 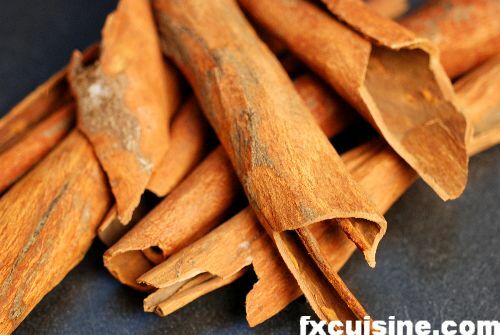 Very fragrant, but not necessarily better than the premium cinnamon sold in the West. 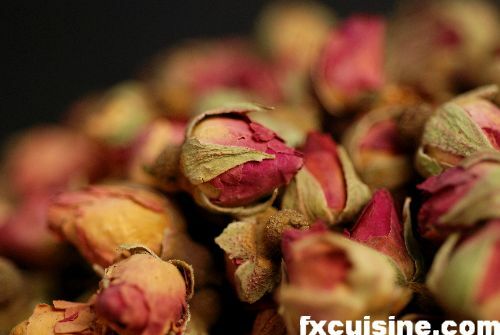 Dried rose buds - I love flower-based confectionery and rose is a favorite. I couldn't find rose petals anywhere in the bazaar but several shops had whole buds. Extremely fragrant, but who knows what they've been sprinkled with. An unholy cocktail of pesticides and rose perfume probably. 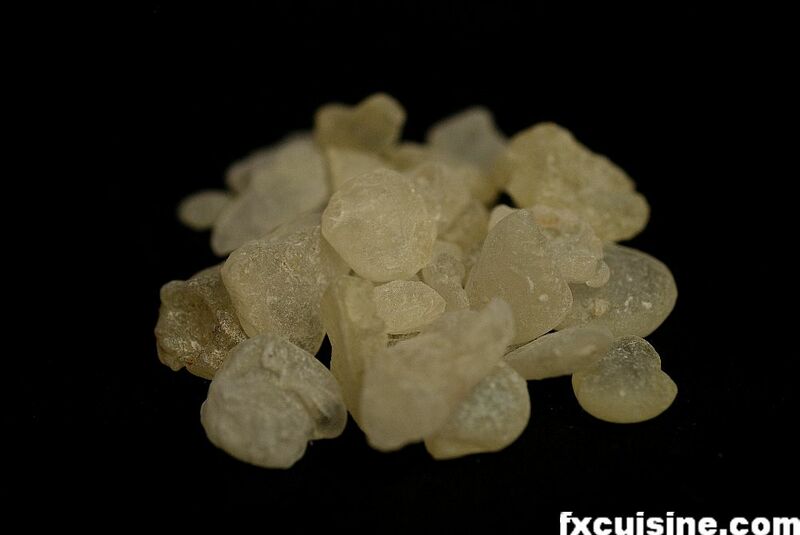 Gum arabic. Sounds like a very authentic thing to bring back from Istanbul, and yet the second shop I visited showed me the Greek carton boxes. 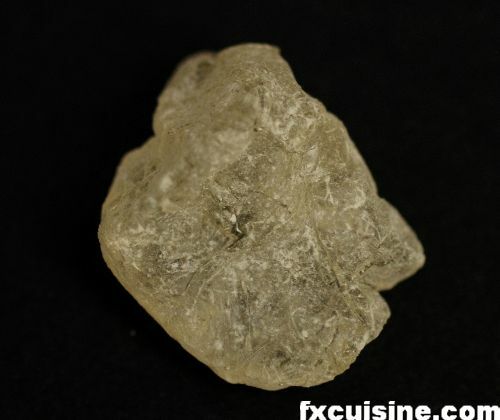 This is the crystallized sap (photo) from an oriental acacia and serves to make turkish delights chewy or give texture to oriental ice creams.